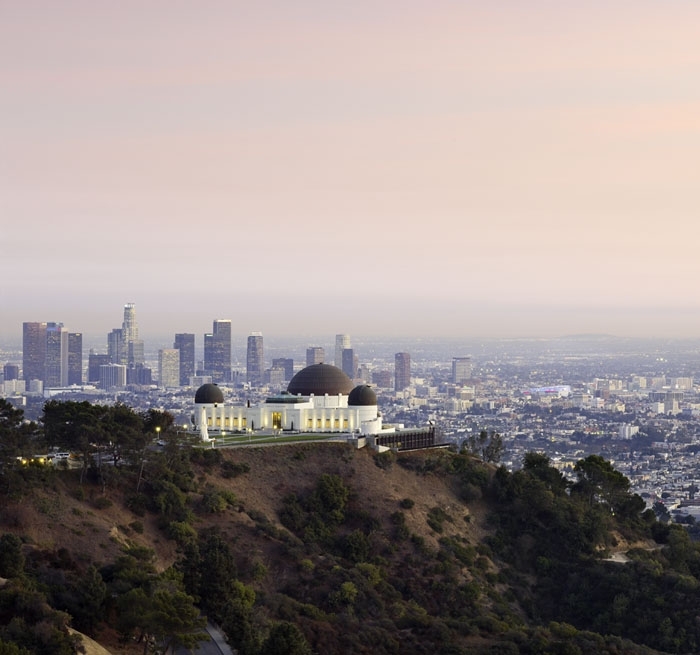 Since 1935, the landmark 300-seat Griffith Observatory Planetarium has been one of Los Angeles’ top attractions. 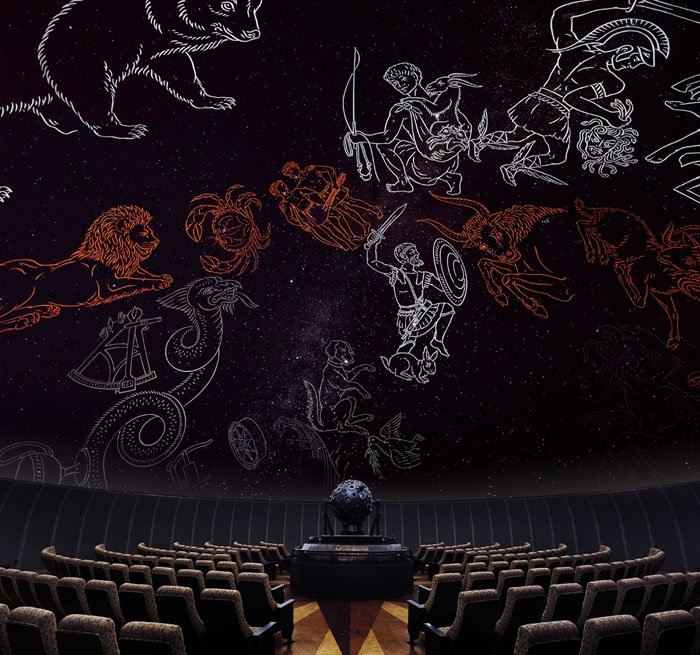 Auerbach Pollock Friedlander provided theatre consulting, planetarium lighting, audio-video systems design, and projection coordination elements for the Planetarium renovation. The presentation space provides for daily planetarium shows and supports a wide variety of other events including lectures and live music in a semi-front-facing seating configuration. 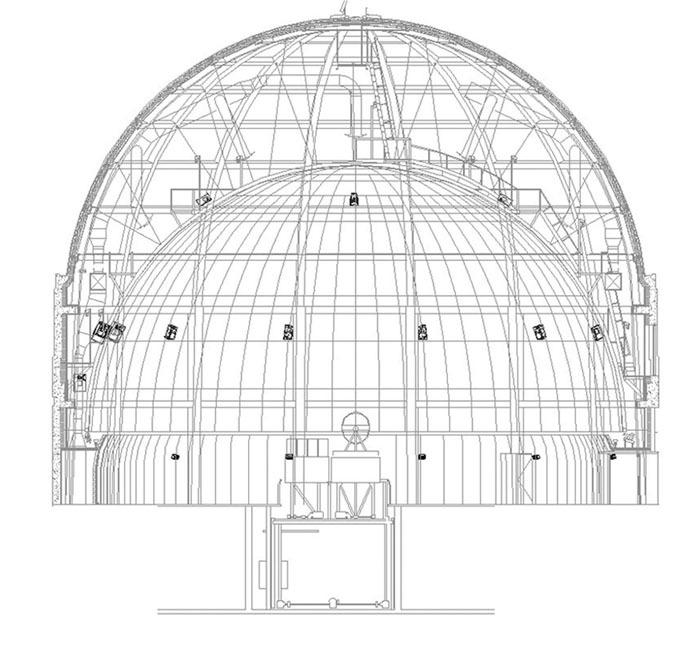 A new perforated 76-foot diameter Spitz dome replaces the old plaster dome. The audio playback and control systems allow sound to appear at any point in the venue and behind the audience. Computer controls of all show systems, including architectural/theatrical lighting, audio playback, Universarium lift and laser projection system, were installed to allow easy presentation. 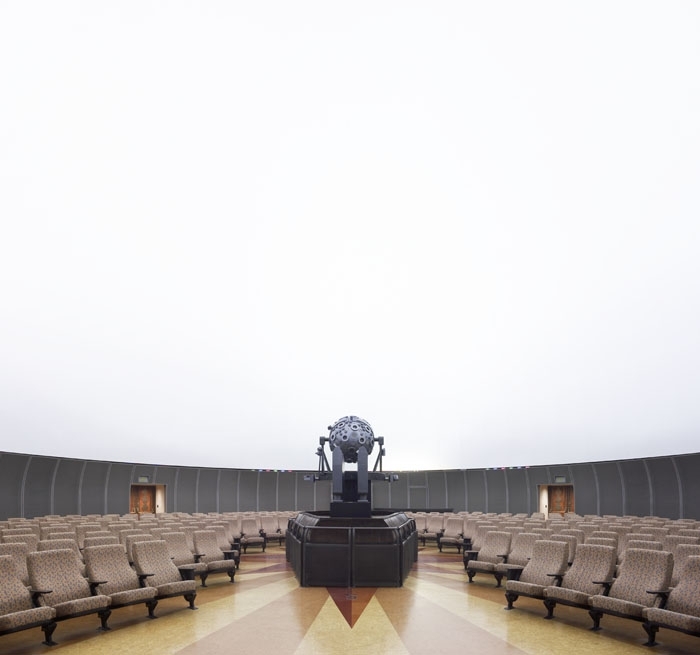 The original quadraphonic sound system in the Planetarium has been replaced by a 30-channel digital dome system allowing each loudspeaker to be individually addressed and virtual sound sources to be located between loudspeakers. Auerbach Pollock Friedlander coordinated closely throughout the design project with Carl Zeiss personnel in Jena, Germany, to provide infrastructure for their Mark IX Universarium. The Universarium is deployed on a custom, high precision lift designed by Auerbach Pollock Friedlander.